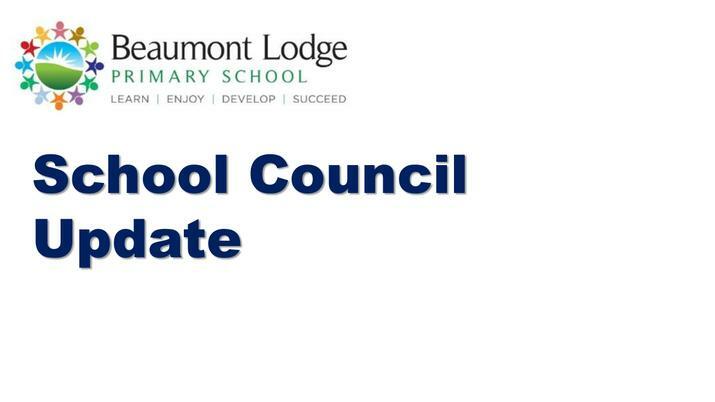 Welcome to Beaumont Lodge Primary School’s School Council page. 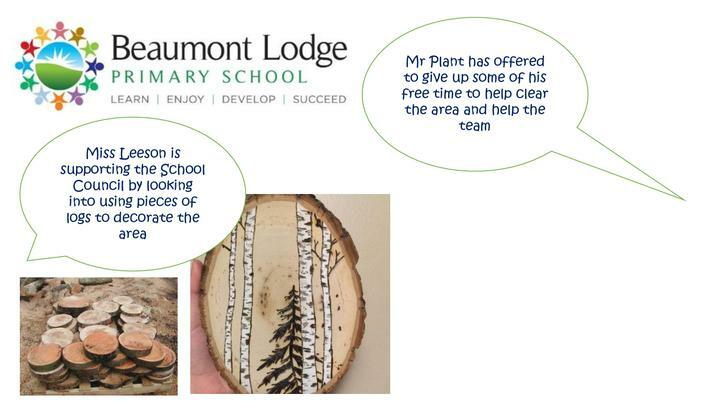 We are the voice of the children at Beaumont Lodge Primary School, offering everyone the chance to share ideas and have their views on life at Beaumont Lodge Primary School. 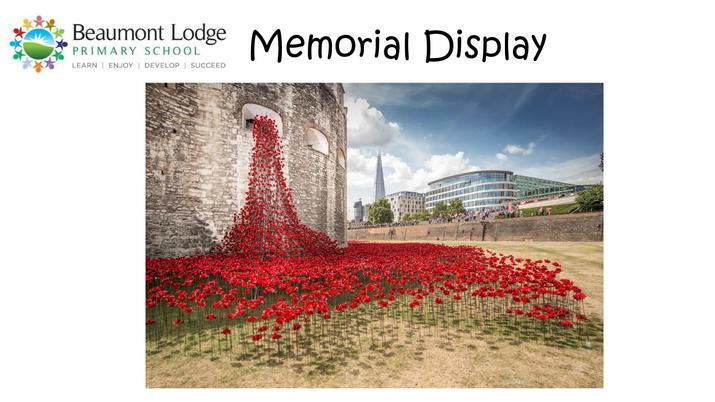 Help the school be more effective. 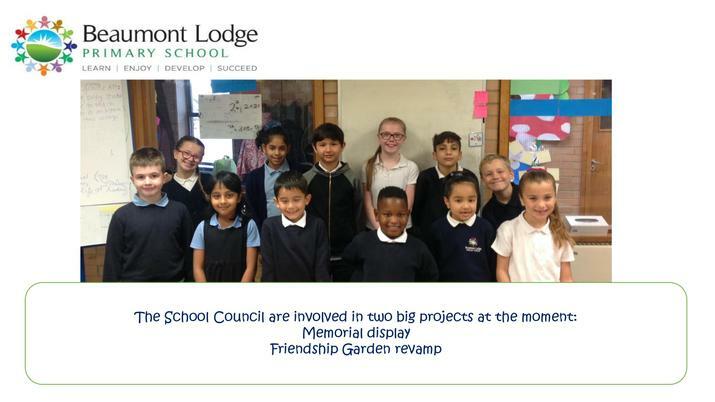 Help introduce changes to make the school even better. 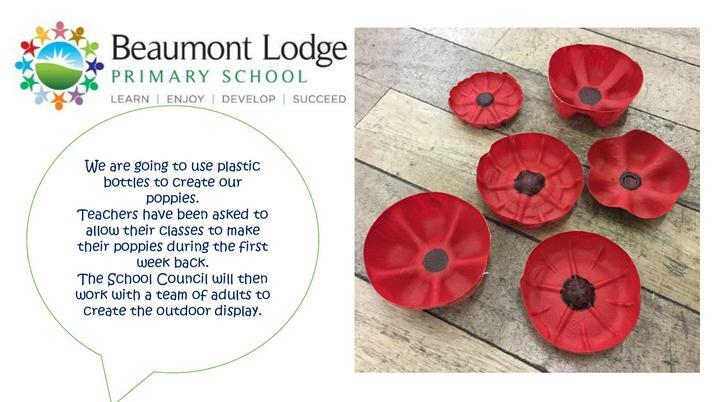 To offer the children’s view. 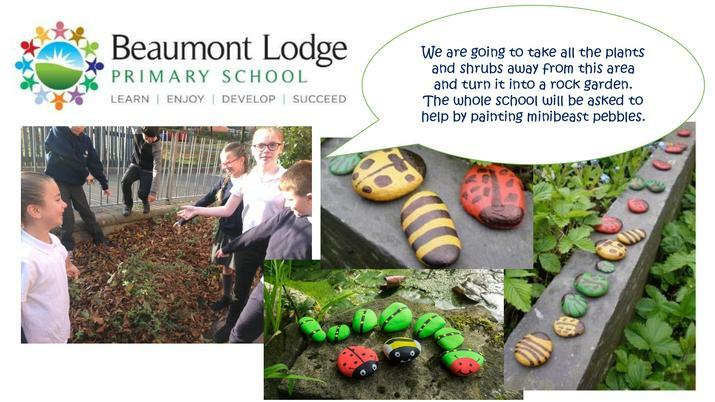 To make Beaumont Lodge Primary School the best it can be! 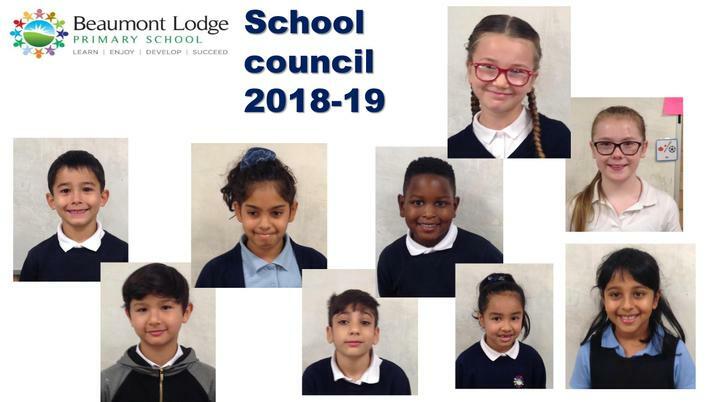 The council is led by Mrs Kazi and Mrs Lacey, who facilitate the council meetings and feed back to the school leadership team. 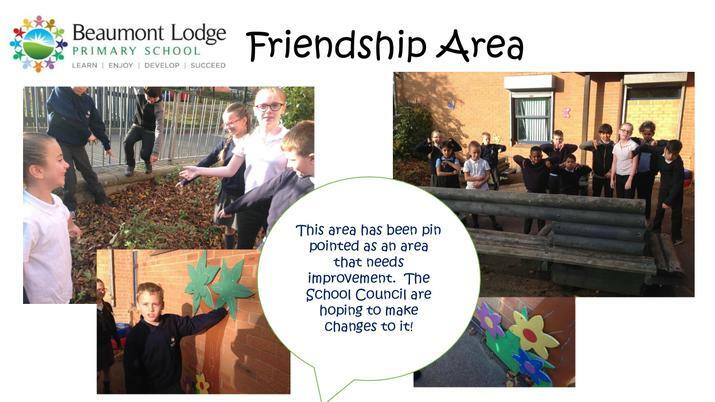 Ideas / issues are passed on to the school council from the leadership team using the green council handbooks. 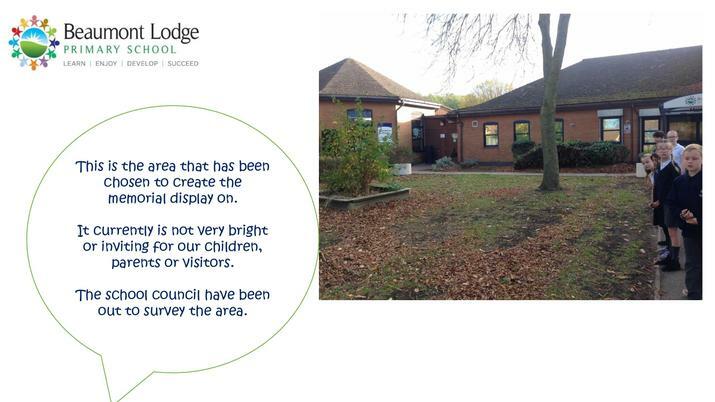 At the meetings we discuss latest issues, questions and areas of development suggested by the leadership team via the green handbooks. 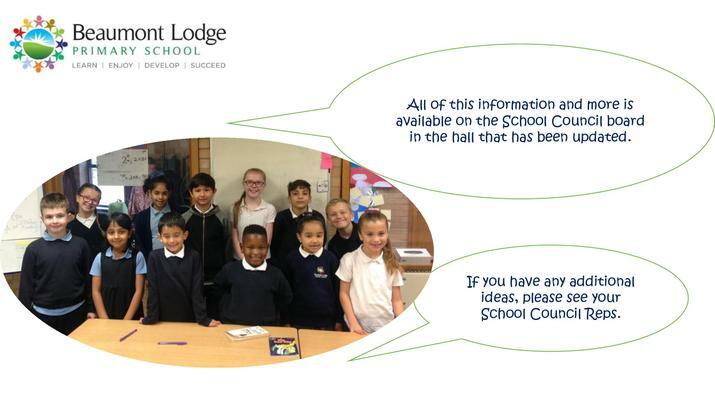 Then fortnightly on a Tuesday, the school council hold an assembly within their class, sharing the contents of the handbook. They investigate their classmates’ views and record them. 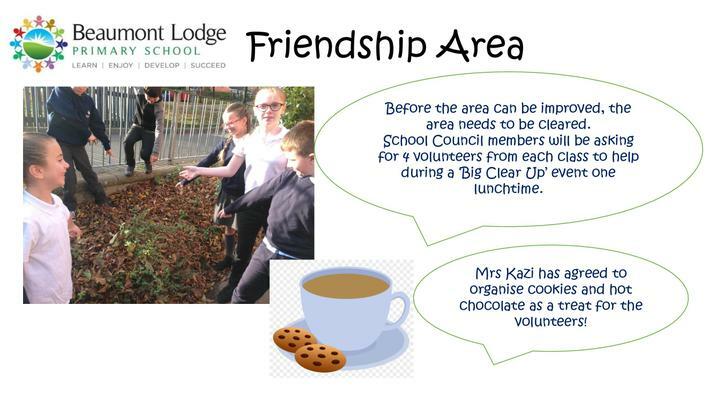 Children also have the opportunity to discuss matters with the school council during the ‘Lunchtime surgery sessions’, held in the playground monthly. 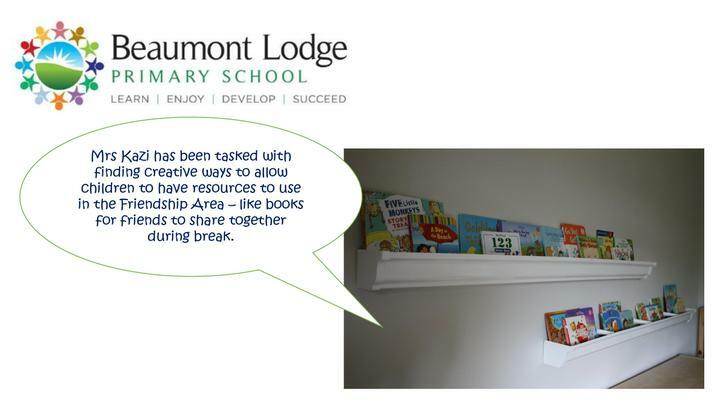 There is also a suggestions box (where notes can be posted) located in the hall on the School Council board.